Glorifying the festivity of togetherness, Bhai Dooj is another occasion after Rakhi that packs a punch amongst siblings. Sweeping in waves of love, laughter, and joy, this occasion puts an end to the sibling's rivalry and makes sure to bond them forever. Arriving soon after Diwali occasion, this event lights the lamp of love and affection. 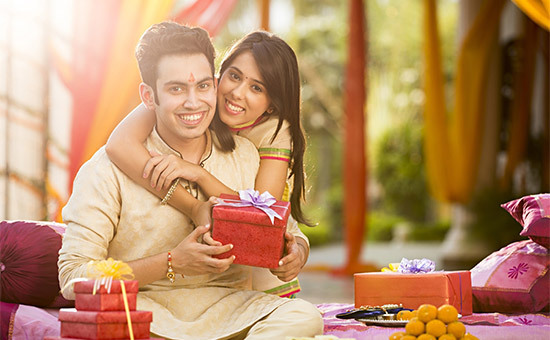 Also, Bhai Dooj gifts play a role in the celebration. However, it is the Bhai Dooj auspicious timings, the tikka ceremony, and the associated Vidhis that mark the occasion brighter. So, if you are one of the siblings that are about to battle distances and celebrate this festivity together, the following information will help you celebrate it right. 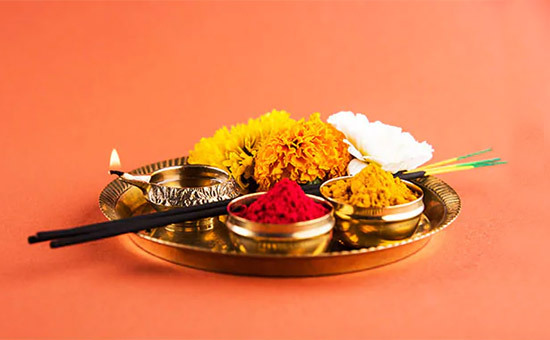 Bhai Dooj Tikka Muhurat usually falls on the dark lunar fortnight, in the month of Kartik and thus, in 2018, the festivity of siblinghood will be observed on 9th November, Friday. Down below is the Bhai Dooj table that covers Bhai Dooj Dwitiya Tithi, Tikka time, the Shubh Muhurat for embracing the occasion and lastly, the end of Dwithiya Tithi. So, if you are one of the siblings seeking for the auspicious Bhai Dooj puja time, keep scrolling! Accompanied by a harmonious fable, Bhai Dooj just like any other India festivity shares an age-old connection with legends and traditions. Associated with many great legends, this festivity celebrates the bond remarkably and makes sure to bestow a world of happiness to all the siblings out there. Every year, the god of death, Yamraj paid due respect to his sister, Yamuna by visiting her no matter what came in the way. And such was the affection of a sister who used to apply tilak on her brother’s forehead and pray for his long life every time he came. 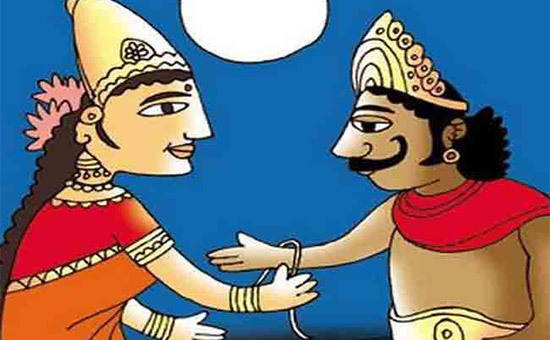 As the brother Yamraj had no token to bless his sister with, he asked his sister for a boon. In return, the sister asked her brother to come every year and bless every sibling with long life with no fear of death. Hitting the milestones there and then only, as soon as when Yamraj granted her wishes pleasingly, this day came to be celebrated as the blessed day of siblings. It was also stated, that to bathe in the holy river of Yamuna is considered of great importance as it is widely believed, if the brother and the sister take a dip in the holy river, they achieve rewards in the form of a better life with fewer troubles. 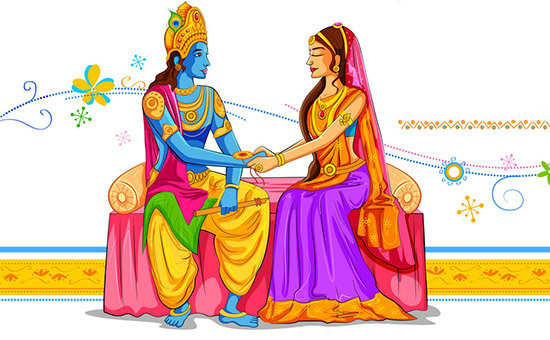 After slaying Narkasur, as soon as Lord Krishna visited his sister was the second day after the new moon day or the Dooj day, his sister Subhadra lit up the place with diyas and welcomed him with flowers, sweets, and fruits. On his arrival, she applied tilak on his forehead and prayed for his well being, happiness, and longevity. A customary ritual amongst siblings, this began to be continued and followed till date. Customs and traditions are an inherent part of the rich Indian culture. Amalgamated with our rich heritage, each of these forms a major part of the festivities. And just like every other festivity, the following customs form an integral part of Bhai Dooj Shubh Muhurat and the Tikka ceremony. Bhai Dooj is celebrated on the second day of the dark lunar fortnight of the month of Karthik. 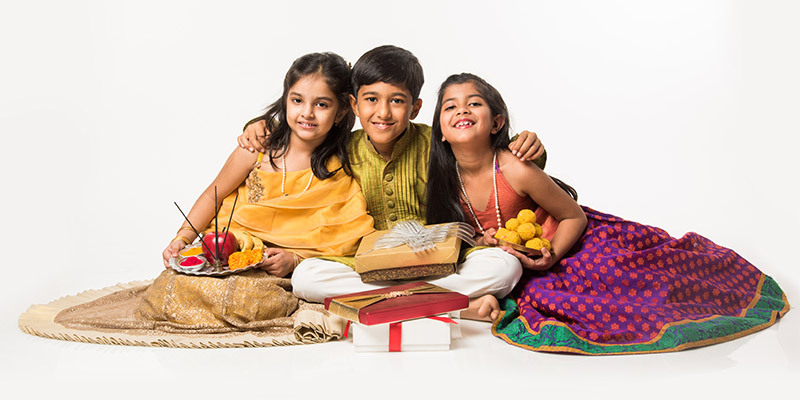 If the day lies in the fourth quarter of the day, this is considered as the auspicious Bhai Dooj celebration date. If on both the days, Dwitiya Tithi touched afternoon, the Bhai Dooj date advances to the day after. On the other hand, if on both the days, Dwitiya Tithi does not touch afternoon, then too, the festivity takes place on the next day. Bhai Dooj celebration takes place even if the Pratipada Tithi touches evening on the Kartik dark lunar fortnight. Bhai Dooj shubh Muhurat is considered shubh when celebrated in the afternoon. Along with all the mandatory rituals, Lord of Death is paid due to reverence and is worshiped on this auspicious day of siblings. No matter if it is Rakhi or the festivity of Bhai Dooj, Indian traditions are never considered complete without following the rituals piously. Sacred to the core, each of the vidhis infuses holiness, vigor, and let siblings light the lamps of love and affection together forever. Following are a few of the rituals needed to keep in mind before and during the festivity! The Bhai Dooj thali needs to have all the essential components such as vermillion, Diya, fruits, flowers, sweets, dry fruits, and betel nut. With all the ingredients together, decorate the thali creatively. Draw Swastikas on the base of thali and make sure you have it ready till the tilak ceremony. Chalk out a square with rice or rice powder just before the tilak ceremony. Make your brother seated within the same boundaries of this rice square. Carry forward all the rituals and apply tilak on your brother’s forehead. Soon after the Bhaubeej Tikka, savor your brother’s taste bud with fruits, dry fruits, and betel nuts. Last, of all, perform the aarti and make sure you have lit the Diya. Once the aarti is done, the brother gifts his sister with a unique token and vows to protect her till eternity.